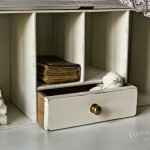 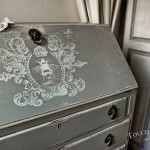 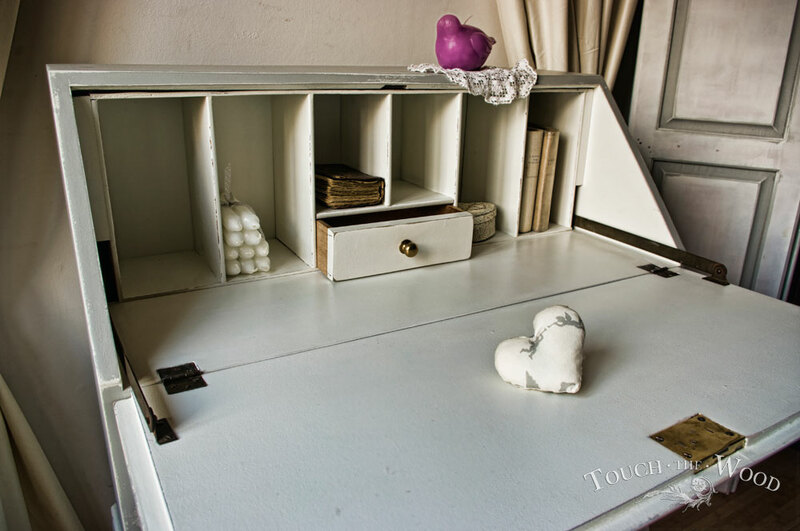 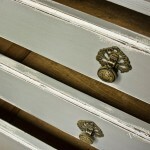 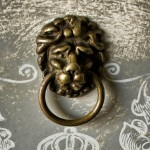 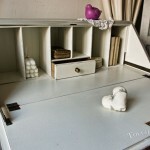 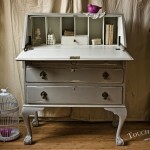 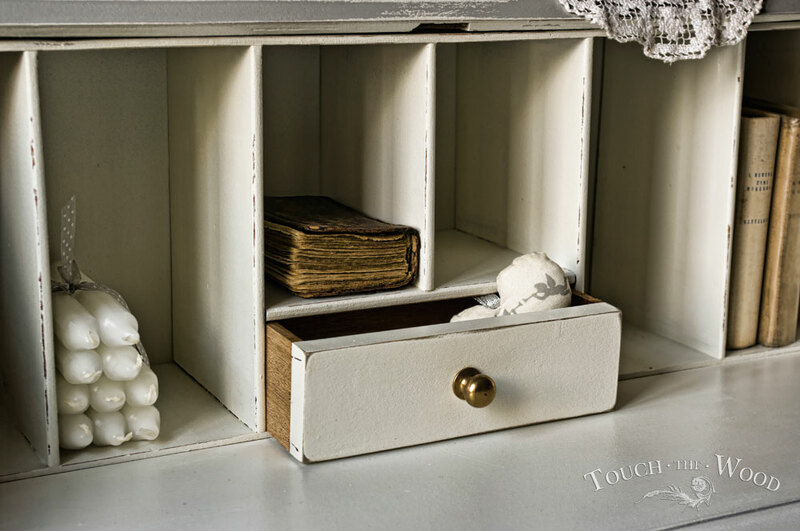 Home » We Made » Bureaus » Shabby Chic Furniture – Bureau no 11. 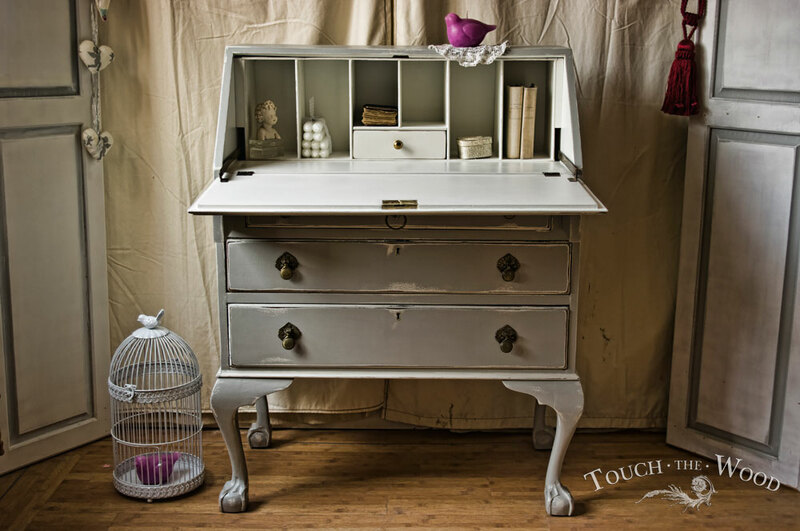 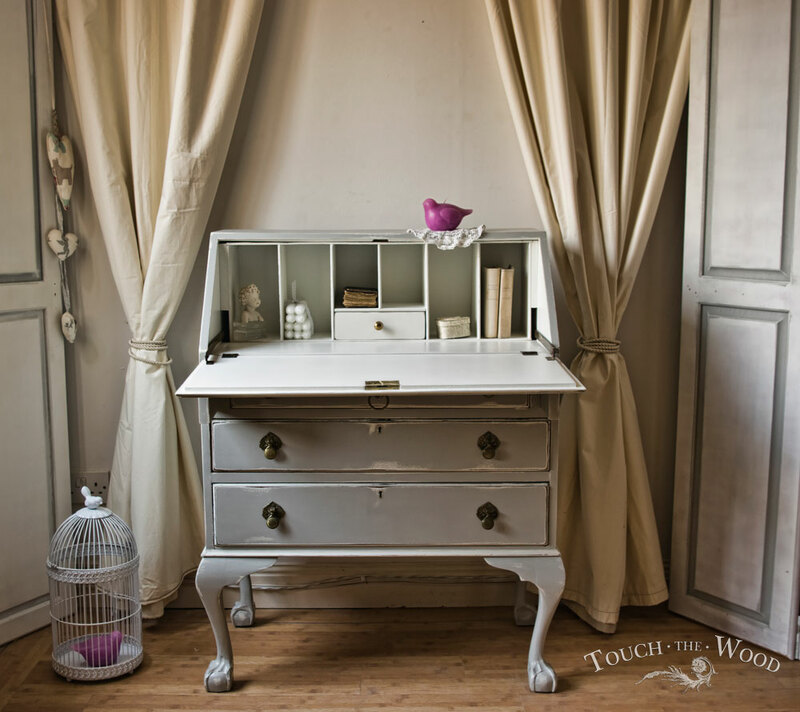 Shabby Chic Furniture – Bureau no 11. 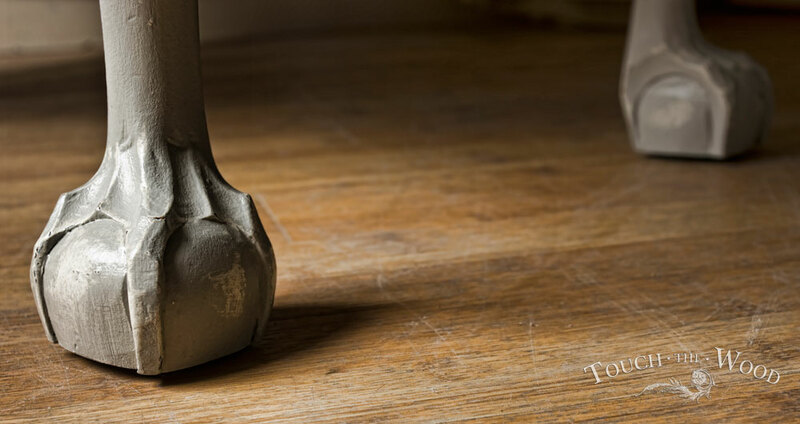 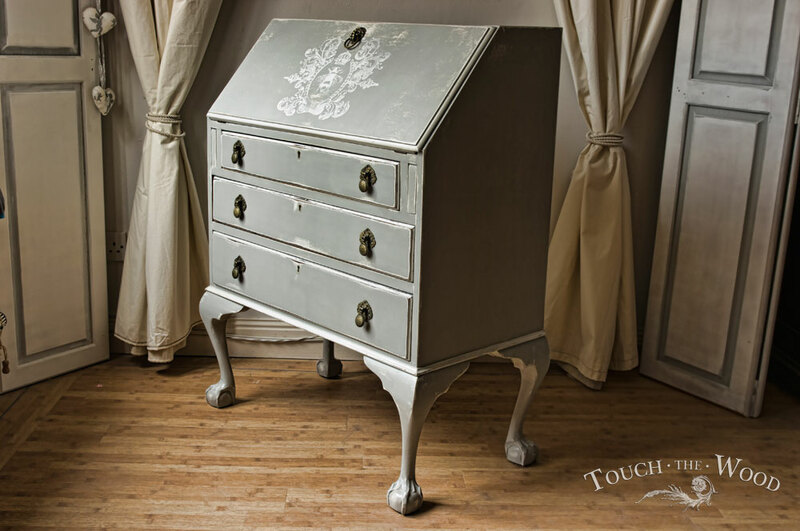 We love Shabby Chic Furniture (aren’t you surprised?). 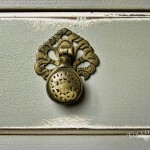 This time, missing a bit our last Bureau no 14. 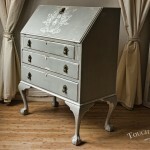 (sold couple of days ago), we decided to makeover its close relative. 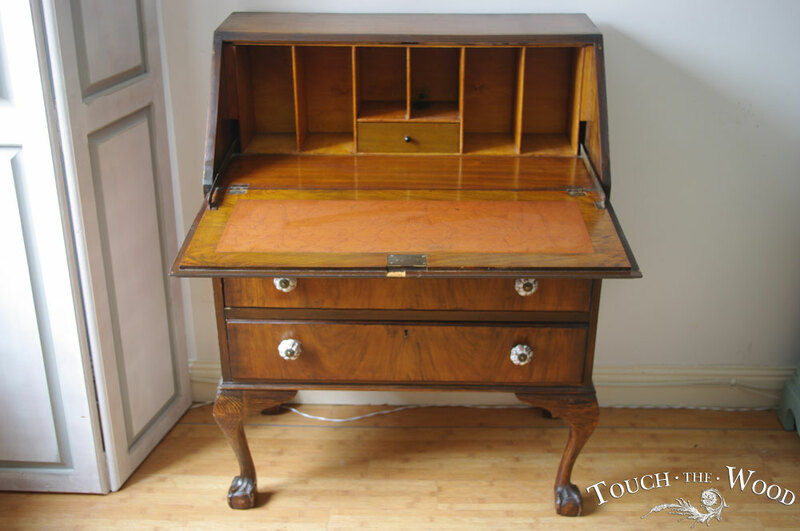 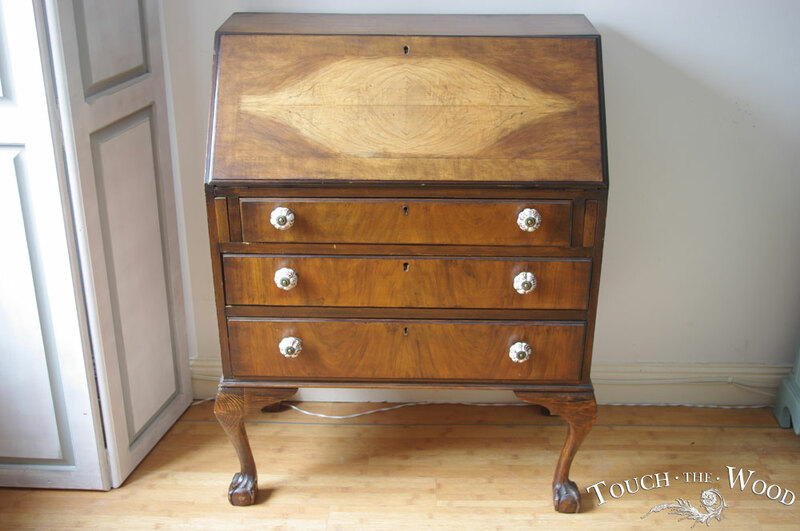 Carved cabriole legs (claw and ball) and automatic supports under the writing slope make it look dignified and noble, and three drawers and pigeon holes inside makes it very practical item in every living room. 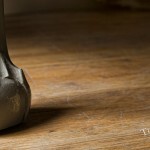 But it is not only about utility. 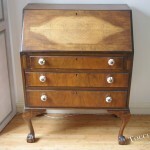 This bureau acts as decorative item; it is a jewel in every room, a crown in every hall, a pearl in every bedroom etc, etc. 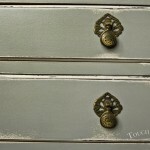 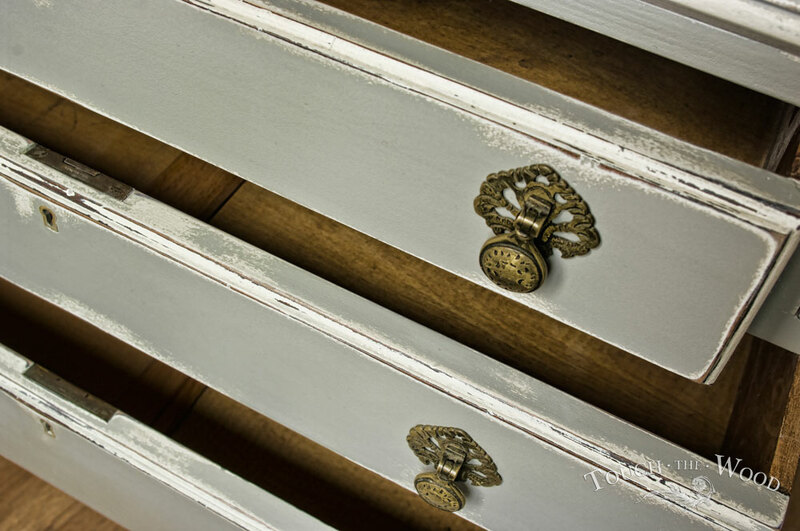 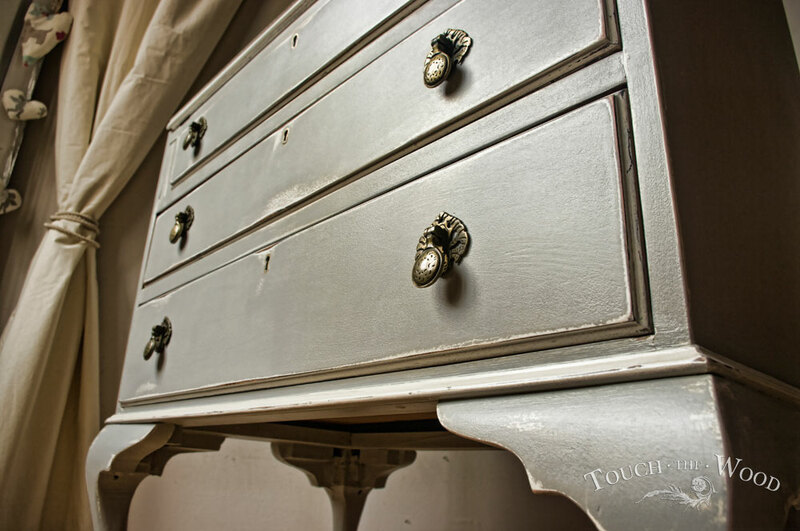 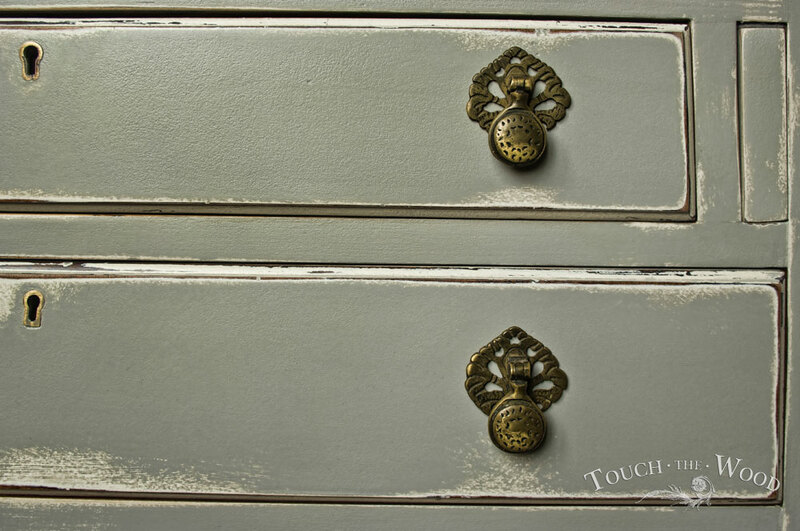 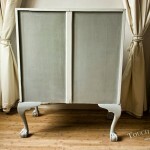 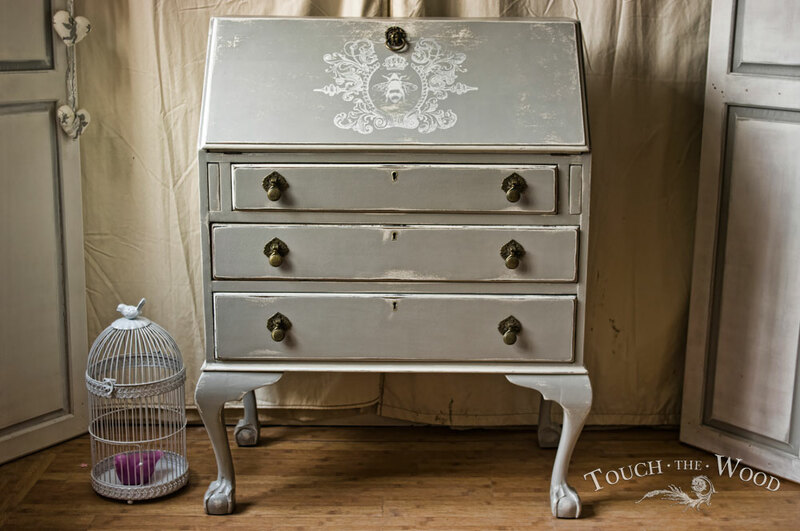 To achieve shabby chic look on this piece of furniture we painted it with Annie Sloan’s ‘Old White’ and ‘Paris Grey’. 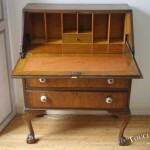 Then, as usually, slightly distressed to get desirable appearance. 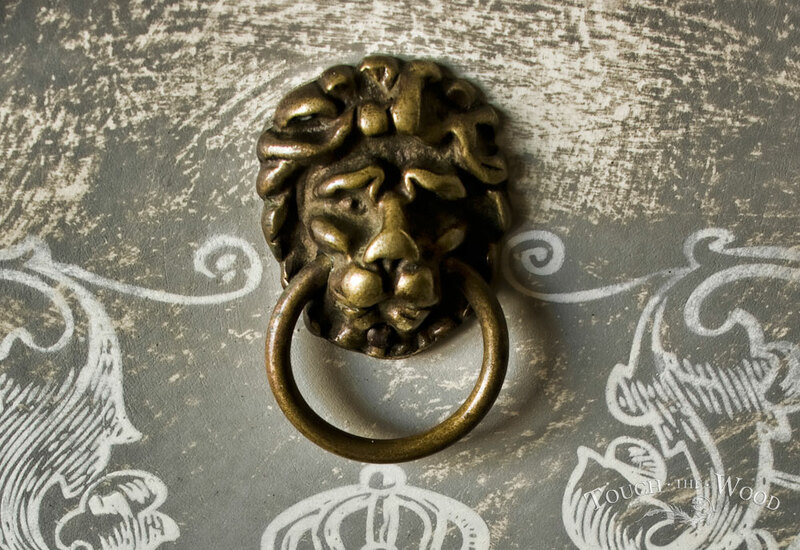 We have bought a stunning lion head pull for the slope, to match the drawer handles and a print we transferred on the top, which is a vintage Queen Bee in Victorian Wreath. 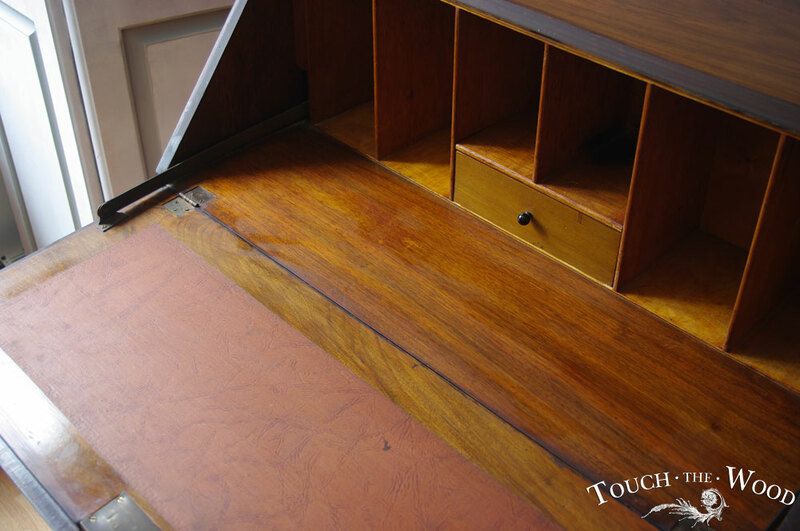 The surface was protected with two layers of Colron’s acrylic non-yellowing varnish, so it is safe to wipe with a dump cloth. 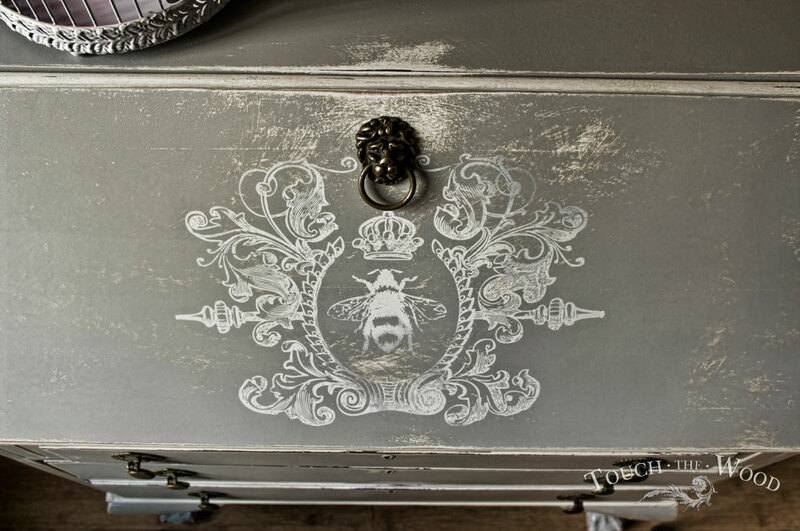 For printing we have used custom made Queen Bee in Victorian Wreath image. 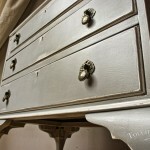 It was transfered using screen printing method with ‘Old White’ paint. 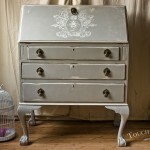 I just love this bureau and the stencil design you used. 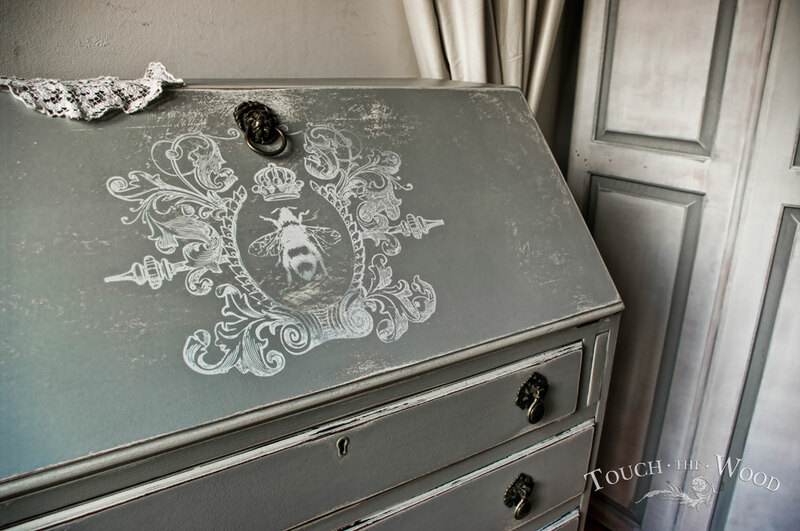 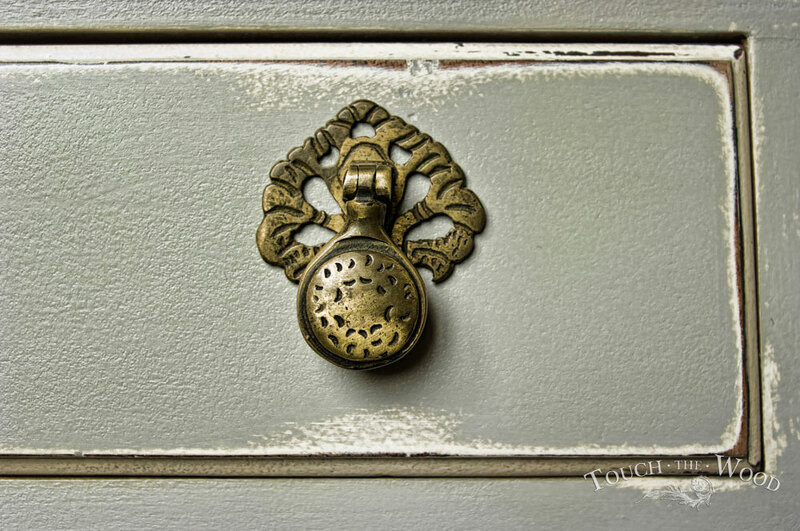 I have looked for a stencil that resembles the one you used on the Chic Bureau and there just isn’t anything out there that comes close, so I was wondering if you would tell me where you acquired it or would you consider selling it? 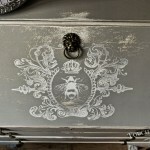 The technique we used to make the bee is not a stencil, it is a screen print. 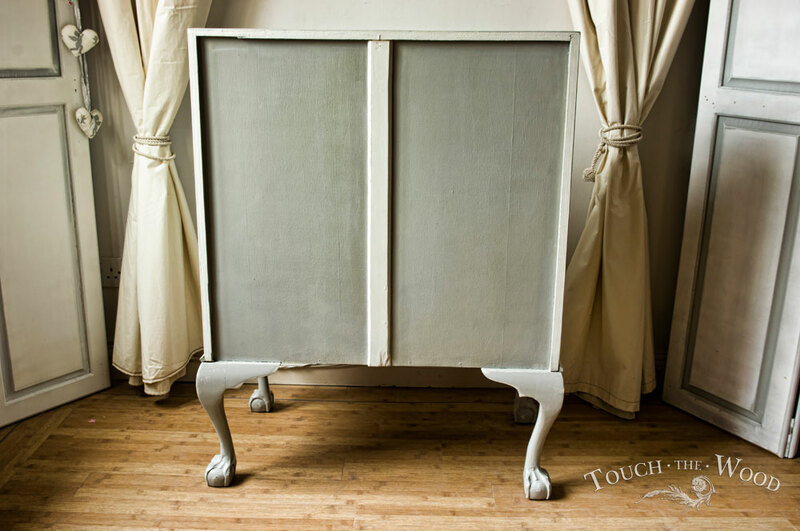 We design and make screen printing frames ourselves. 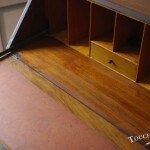 If you want to try yourself in this tehnique I may prepare a screen for you, with any design you wish.